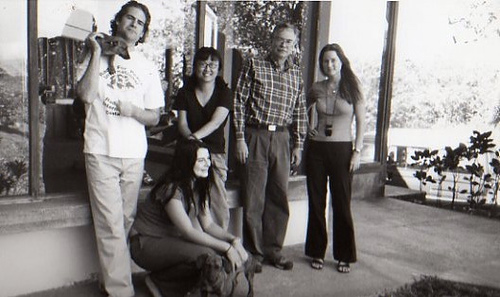 Glenn Hauser published updates and listener commentary beginning in July, 2003 in DXLD 3-132, DXLD 3-133, DXLD 3-134, DXLD 3-135, DXLD 3-136, and DXLD 3-137, as well as in subsequent issues. The legal arguments in the dispute (PDF) or click HERE for MS Word document. 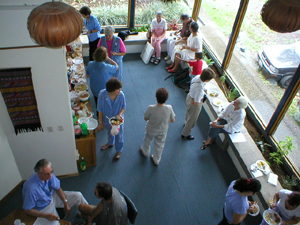 School of the Americas visits University for Peace, August 1998. Webpage was downloaded when it was still active on the Internet, and is displayed on this site without alteration to its original images or text. 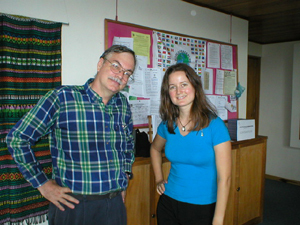 11/05/2003 - 6:30 PM CST (Costa Rican time) - The Copy Exchange - "Everyone has the right to freedom of opinion and expression; this right includes freedom to hold opinions without interference and to seek, receive and impart information and ideas through any media and regardless of frontiers," states Article 19 of the United Nations Universal Declaration of Human Rights. But that apparently does not apply to the United Nations' mandated University for Peace, which silenced the voice of Radio for Peace International today at approximately 4:00 PM CST, by cutting power to the station. James Latham, in a cell phone conversation with this reporter just minutes ago, stated that the RFPI staff would not be leaving the station any time soon. In an earlier conversation Latham stated that if food were prevented from being brought into the station, the staff would be forced into going on a hunger strike. RFPI volunteers have been supplying food by bringing it with them from Ciudad Colon and crawling through a hole in the fence that surrounds the university land. 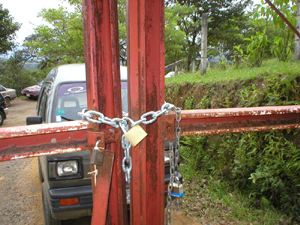 Tomorrow an attempt would be made to move station equipment out of the station and into a secure location - an action that could be blocked by the armed University for Peace guard and a large quantity of barbed wire. 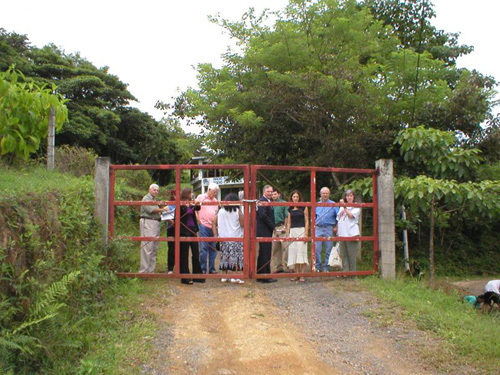 11/04/03 4:00 PM CST (Costa Rican time) - The Copy Exchange - Today the University for Peace (UPaz) "strung up enough barbed wire across the entrance to round up a herd of Texas longhorns," stated RFPI station chief, Lames Latham, in a cell phone conversation with The Copy Exchange. Nobody is getting in or out of the station, but the RFPI staff has no intention of budging. "We are not moving until this [standoff] is over," stated Latham. Local supporters in the San Jose area, after hearing that water supply was cut off yesterday, tossed 5 gallon buckets over the fence near the studios for collecting rain water. With heavy rain continuing on throughout the day, an ample amount of water was collected to sustain the RFPI staff for a good number of days. Meanwhile legal action continues. Papers requesting intervention to force Upaz to cease its action, signed by the RFPI staff and others - including Rodrigo Carazo, founder of UPaz - will be filed at Costa Rica's highest court in the next few hours. 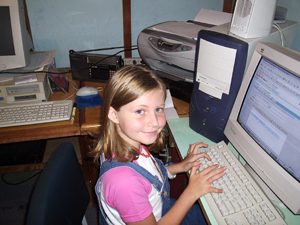 11/03/2003 08:00 PM CST and Costa Rican time - 0200 Tuesday UT - The Copy Exchange - The University for Peace (UPaz) took its first step toward forcing RFPI off UPaz land today by cutting off water and phone service to the station, reported Lames Latham in a phone conversation with The Copy Exchange on a cell phone line. Both Utilities, fed through the university property, and are subject to UPaz control, the water cut off at 11:30 CST and the phone cut off at noon. But then came the rain - buckets of it. By placing a large trash barrel under the rain spout, and collecting rain water it every available wastebasket, some 70 gallons of water were collected, to provide several days worth of water for the undeterred RFPI crew. UPaz also is now toughening its stance on allowing vehicles in and out of the station. A court injunction will be filed in a Costa Rican court Tuesday by RFPI requesting a cease and desist order be levelled against UPaz. 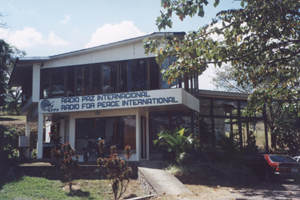 In addition, RFPI is pursuing legal action in Costa Rican and international courts to recover the value of the RFPI studios, for which UPaz has offered virtually nothing. A letter sent to RFPI last week from a UPaz lawyer stated that UPaz had no need for the equipment, transmitters, and studios and that "You can take the building with you." 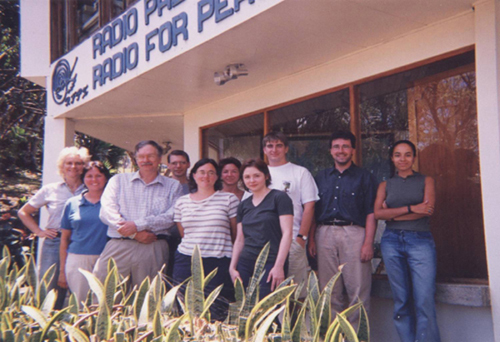 The University for Peace (UPaz) gave little ground to Radio for Peace International in negotiations that took place over the last few months over compensation to RFPI for their $200,000 facilities and for the cost of moving the station, RFPI station manager, James Latham, reported yesterday. UPaz would only set up an escrow account containing a tiny percentage of what is owed the station - money that RFPI cannot access. RFPI walked away for the talks empty handed, forced to relocate but penniless to do so. UPaz officials stated that RFPI must vacate their facilities by October 31st or face legal action, though it is unclear what form that action might take, since Costa Rican law does not apply to international land, such as UPaz property. Regardless, RFPI does plan to move and is determined to keep their dream alive. Land outside San Jose has been donated to RFPI, a deed being drawn up to transfer ownership to the station. From a newly established office in San Jose, capable of containing the studios, RFPI will be able to live stream their programming over the Internet during the three to six month period required to set up the transmitter and tower at the new location. 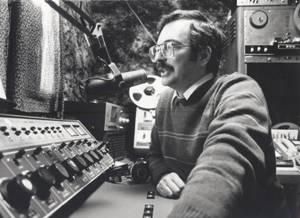 Once the transmitter is established RFPI begin broadcasts again using a studio-to-transmitter link from the San Jose studio. UPaz reportedly is planning to make use of the present RFPI facilities, for which they offered nothing in monetary consideration, for their own purposes.